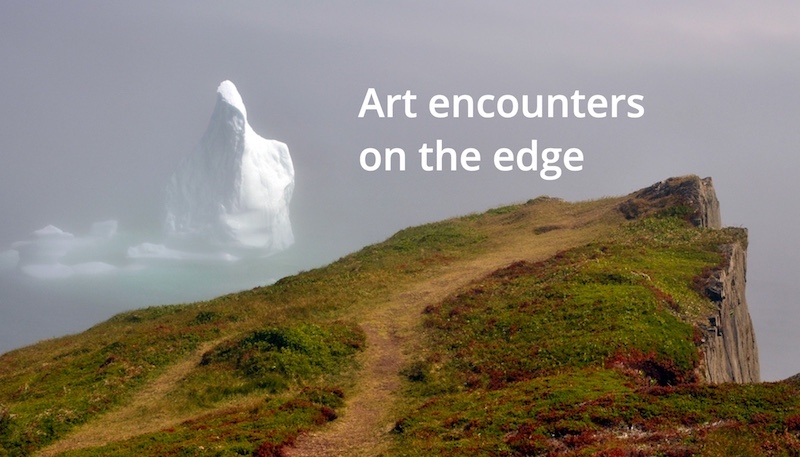 We are pleased to announce Bonavista Biennale 2017 Art Encounters on the Edge, a contemporary visual art exhibition launching this summer on the Bonavista Peninsula. Curators Catherine Beaudette and Patricia Grattan bring together works by 25 leading Newfoundland and other Canadian artists for Canada’s 150th anniversary. Presented in non-gallery sites (micro-brewery, fishstore, old schoolhouse, seal plant, beach, etc) the Biennale promises a unique encounter with this spectacular area where history and traditional culture combine with art by both newer and established artists: Catherine Blackburn, Marlene Creates, John Hartman, Iris Hauessler, Dil Hildebrand, Ned Pratt, Reinhard Reitzenstein and more. 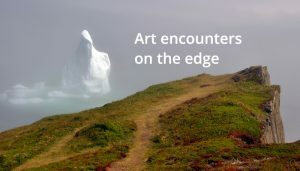 Bonavista Biennale is a program of 2 Rooms Contemporary Art Projects and has its genesis in a 136-year-old fisherman’s saltbox house in the community of Duntara on the east coast of Newfoundland. Many such houses have stood empty since the collapse of the fishery in the 1990s, many others have vanished. These structures are the tangible cultural heritage of past generations. In an effort to save an old house and revitalize a community, 2 Rooms opened its doors in 2012. Comprising an art gallery, museum and artist residency, 2 Rooms is a platform for contemporary art, on-site installation projects, and displays of material culture. Programming, including the Biennale, reflects the confluence of historical, natural and cultural conditions that exist interdependently in Newfoundland’s outport communities. Situated on the Bonavista Peninsula, the Biennale reflects the rise of “off-centres” as viable, desirable places to live, thrive and create. It brings together people of different origins within a shared domain that offers new ways of seeing and thinking about the world around us. An artist, curator, educator and community organizer, Catherine has long been involved in art initiatives that position art in the public realm—from initiating independent art exhibitions in a variety of alternative spaces to founding Loop Gallery in Toronto. She is Associate Professor at Ontario College of Art and Design University, and the Founder and Director of 2 Rooms Contemporary Art Projects, a non-profit contemporary art gallery, historical artifact museum and international artist residency in Duntara, NL. She lives in Duntara and Toronto. Patricia was the Director and Chief Curator of Memorial University Art Gallery for over 20 years. Now an independent curator, writer and visual art consultant based in St. John’s, NL, she works with such organizations as Tasmania’s Ten Days on the Island Festival, Queen’s University in Belfast, McMichael Canadian Art Collection and City of St. John’s. Patricia is one of five curators authoring a book on Canadian Indigenous and non-Indigenous landscape art (published in Fall 2017 by Vision 1, Vancouver). She received the Royal Canadian Academy’s RCA Medal for contributions to the visual arts in Canada and was inducted into the Newfoundland and Labrador Arts Council Hall of Honour, both in 2012.